The presidency has reacted to the position of both the United States of America and the European Union on the suspension of the Chief Justice of Nigeria, Walter Onnoghen. A statement by the Senior Special Assistant on Media and Publicity to President Muhammadu Buhari, Garba Shehu, noted that as much as Nigeria welcomes prevailing interests and partnerships for successful 2019 general elections, the government would not condone unfair interference in matters that are wholly internal. Following the controversies generated by the suspension of Mr Onnoghen by President Muhammadu Buhari on Friday and the appointment of a successor in an acting capacity, the United States and the EU issued statements advising the government to retrace her steps. Before the latest statements on the suspension of the Chief Justice of Nigeria, the U.S. and the UK had earlier on Thursday threatened to ban from entering their countries any Nigerian found guilty of instigating violence during the election or anyone engaging in rigging the process. Many stakeholders including the federal government, opposition Peoples Democratic Party (PDP) and the Coalition of United Political Parties (CUPP) had hailed what they described as the foreign nations’ timely intervention. 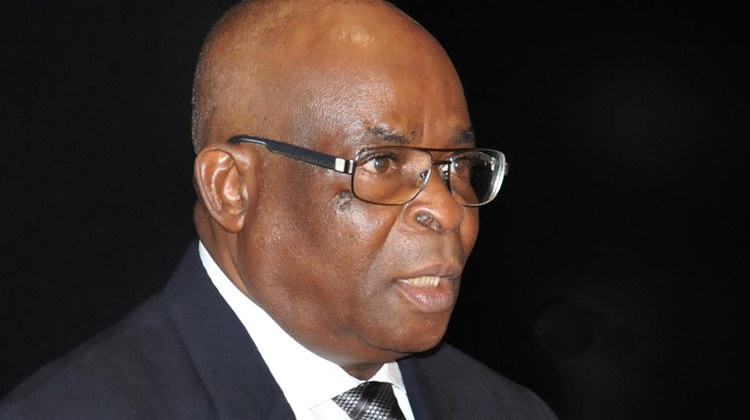 But the presidency has strongly condemned the latest intervention of the foreign countries on the suspension of the CJN, insisting that as a sovereign country, Nigeria deserves respect and honour. The federal government, however, pledged her commitment to ensuring a free, fair, credible and peaceful election. It said the Independent National Electoral Commission (INEC) has been made truly independent and offered the required support. “Nigeria reserves the right to be insulated from suggestions and or interference with respect to wholly internal affairs and commends international laws, customs and norms that mandate and require nations and the comity to respect this prerogative to all,” Mr Shehu wrote. In its reaction to the statements by the foreign power, an Islamic organisation, MURIC, in its own statement, which was signed by its Director, Ishaq Akintola, advised both the U.S. and the UK or any other foreign interest not to look at the suspension in isolation but consider the gravity of the offence allegedly committed by the CJN. MURIC cited the cases of the former governors of both Delta and Bayelsa States, James Ononefe Ibori and Diepreye Alamieyeseigha respectively, which it alleged of mesmerising the Nigerian judiciary but successfully prosecuted abroad.